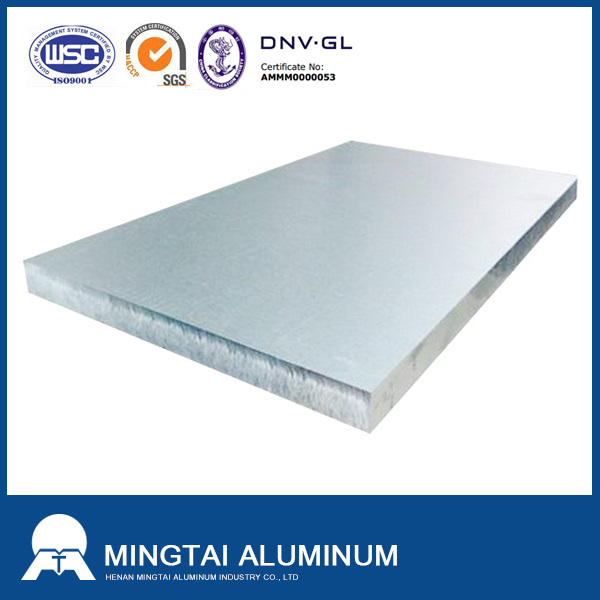 As a hot sale product, Mingtai 5052 aluminum plate has many excellent performances, such as good processability, high corrosion resistance and high fatigue strength, is one of the most widely used anti-rust aluminum plate. Mg is the main alloying element, which improve the strength of 5052 aluminum plate. 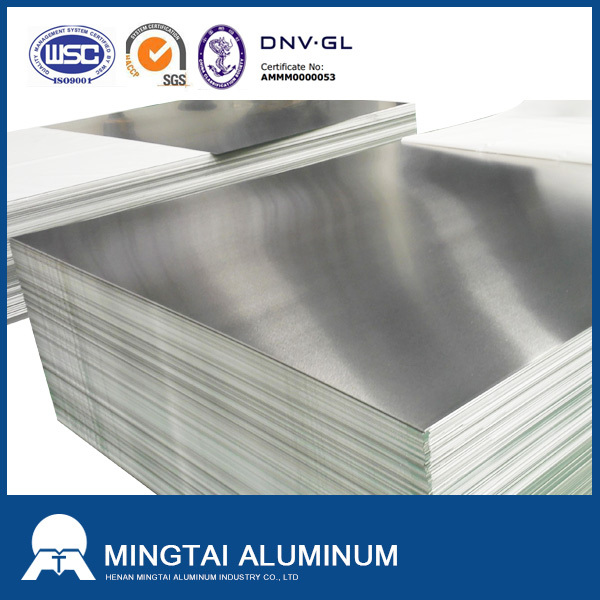 5052 aluminum plate of Mingtai Al. is certificated to ASTM B209, all of Mingtai products are in line with international standards. In general, products with different thickness have different tensile and yield strength, as well as elongation, and our products can be cut to size at customers` need. 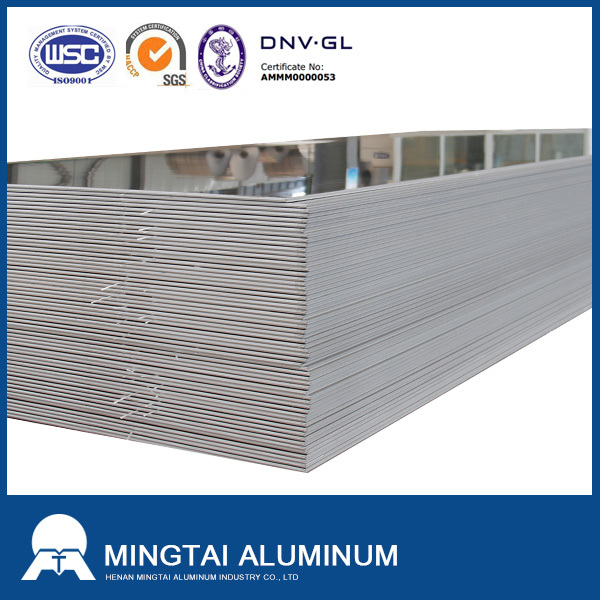 oxidized aluminum plate, sheet metal parts for ship, storage device for chemicals or oil, etc. 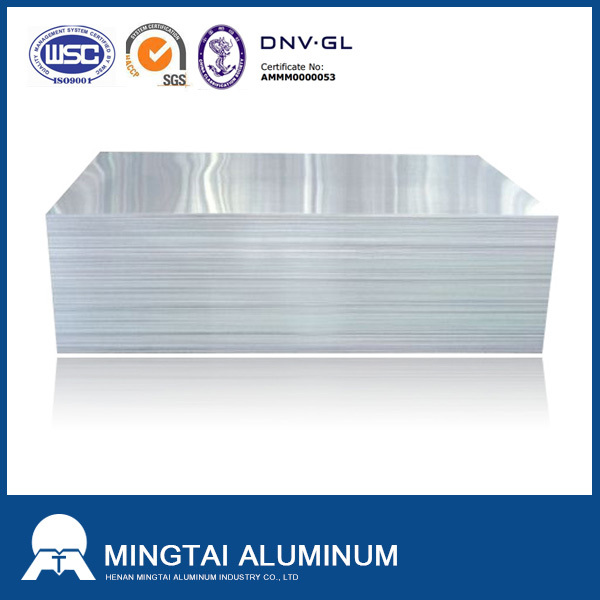 5052 aluminum plate is widely used in transport vehicles, sheet metal parts of ship, instrumentation, lamp-post, rivets, hardware, electrical shell, etc. In addiction, 5052 aluminum plate can be used for the low load components that working in liquid or gaseous media and require a high plasticity and high welding performance, such as fuel tank, petrol or oil duct, all kinds of liquid containers, etc. Looking for ideal 5052 Aluminum Plate Manufacturer & supplier ? We have a wide selection at great prices to help you get creative. 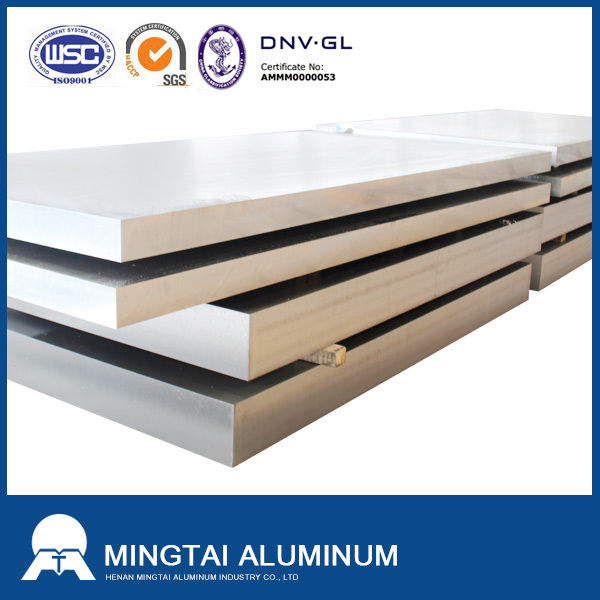 All the Marine Grade 5052 Aluminum Plate are quality guaranteed. We are China Origin Factory of Aluminum Plate for Shipbuilding. If you have any question, please feel free to contact us.